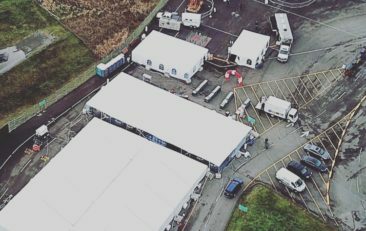 Our tents were recently featured at the White River Amphitheatre and we're loving this ‘bird’s eye’ view of our WeatherMax tents, setup for a holiday event! Are you hosting an outdoor party, special event or wedding? Grand Event Rentals has you COVERED, with so many options, styles and sizes perfect for large parties or small gatherings! Book your rentals on our website’s 24/7 “quote builder” tool or visit our Bothell, showroom to browse our selection in person!